My name is Stacie Witt, and I am the counselor at Boyd High School. I grew up in Boyd and graduated from Boyd High School so I am thrilled to be a part of this wonderful school system. This is my eighteenth year in education. I began my teaching career at Boyd Elementary in 1994. For the remainder of my previous years in education, I was an elementary and intermediate principal as well as a director of curriculum and design. 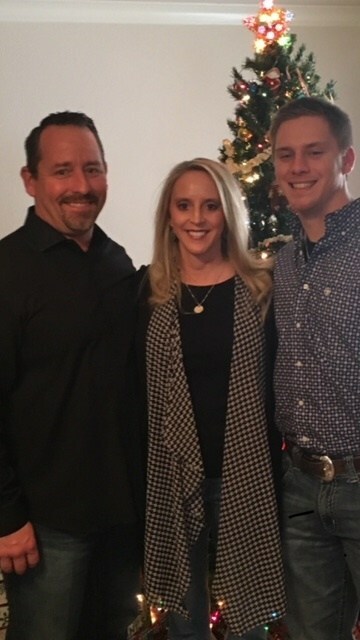 I am married to my wonderful husband, Scott, and we have three children that keep us busy with sports--Colton (20), Creighton (18), and Lesleigh (15). I look forward to meeting everyone and to an amazing school year. To view options for course selection for our CTE (career and technical education) classes and additional electives, please see the document below titled Endorsement Selection 18-19. To view our complete course catalog, please select the link below--Course Descriptions 18-19. If you would like to know the difference between Dual-Credit, Advanced Placement, and On-Ramps, see the flyer below titled What's the Difference. ﻿8th Grade Orientation Presentation is posted below. Please call with questions. For an explanation of our honors courses, please see the link below. Sign up to take your SAT and ACT at the following sites. Free SAT Practice on Khan Academy at https://www.khanacademy.org/sat. Sign up and receive a free practice plan. Other free, personalized SAT practice at www.satpractice.org. Interested in career interest surveys? Click the link below to take quick online surveys.